Finding scholarships just got FASTER and EASIER! 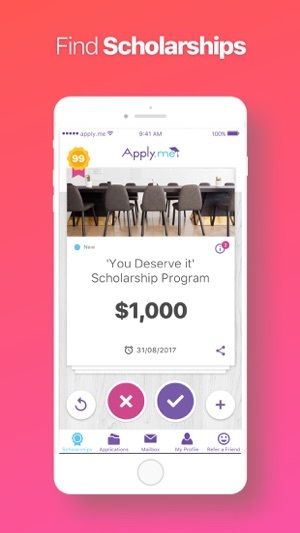 Apply for scholarships anytime, anywhere, with Apply.me. 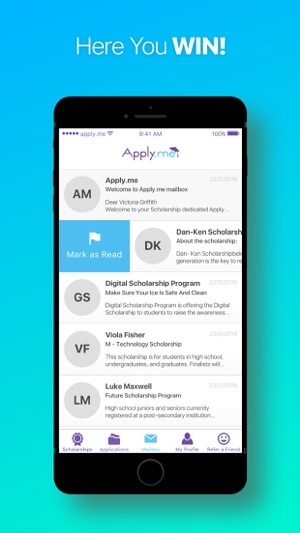 Use the app to manage all your scholarship matches and apply for them via your mobile device. This is your opportunity to save time and stay connected. - On-the-go: Apply from the gym, the subway, the beach, the park, or anywhere else. * Filters - Organize and sort through your matches. 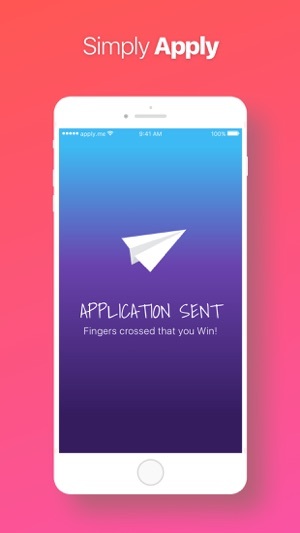 * Unlimited Swipes - Swipe through as many matches as you like. 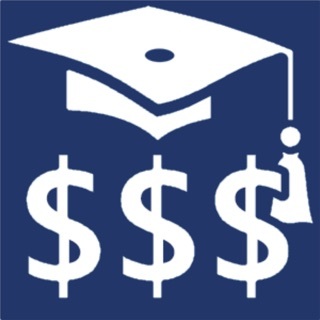 * Recurring Scholarships - Get automatically re-applied to recurring awards. * Undo Swipes - Unlimited amount of undo swipes. * No Advertisement - Enjoy an ad-free experience! • PRO membership is a month-to-month subscription. 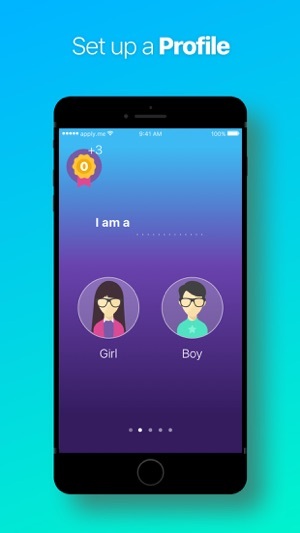 I have this app and have been writing essays for it for some time. It’s an extremely helpful app, but you will encounter limitations if you don’t have deep pockets. You have limited swipes a day, which means you can only select a few scholarships you like before it says “wait 24 hours or buy more swipes”. I mean, I won’t bash them for trying to make some money. But after a while, you start to realize that ads tend to cover the page; “unswipes” cost money (that means if you accidentally swipe left on a scholarships, there ain’t no going back unless you got 99 cents to blow). Say you get a scholarship that doesn’t apply to you; you can’t fix that... because you need premium to set preferences and filters to which scholarships you receive. And along with that, you can expect to see a few glitches. Now, these things may seem small but when you combine them all together, you can imagine how tainted this app can feel. Good idea, but difficult to use. This app is a great idea. One place to find a plethora of scholarships. However i have had endless struggles logging in. Every time i close out of the app, it logs me out. Then when i try to log back in, it doesn’t recognise my email or password. I try to reset my password, but it says that my email isn’t connected to any account. It is beyond frustrating trying to get financial help in order to go to college. the limited swipes are annoying as well. 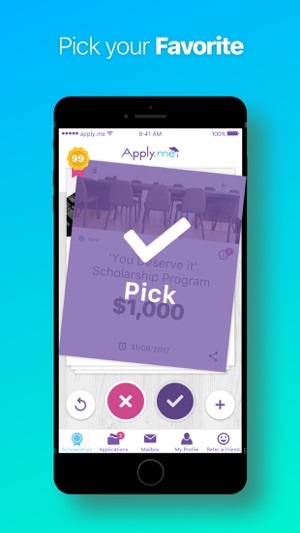 I am using this application because I need money, so in short I need to spend money on an app in order to even look at more than 15 scholarships. I will not likely be using this app again seeing as how my account doesn't seem to exist. I’m liking it so far, but I have encountered a problem that a lot of users are also having. It’s the message of saying ‘oops something went wrong.’ That is unacceptable. I found out that writing down your essays on the main form works, but attaching documents doesn’t work. I feel like that is the thing that causes the error message. There are some essays that wants you to attach. And if the app doesn’t allow me to attach my essays, this is simply a recipe for disaster. It would be lovely if the team can please fix this. © (C) Owl Marketing Ltd.